Irina, a headstrong textile student tries to overcome her day-to-day problems by accepting a summer job offer from an isolated and offbeat village of Kyrsyä. As Irina begins to get a grip of herself in the middle of the endless Finnish forest, the seemingly harmless and oddball villagers begin to reveal their true, darker nature. 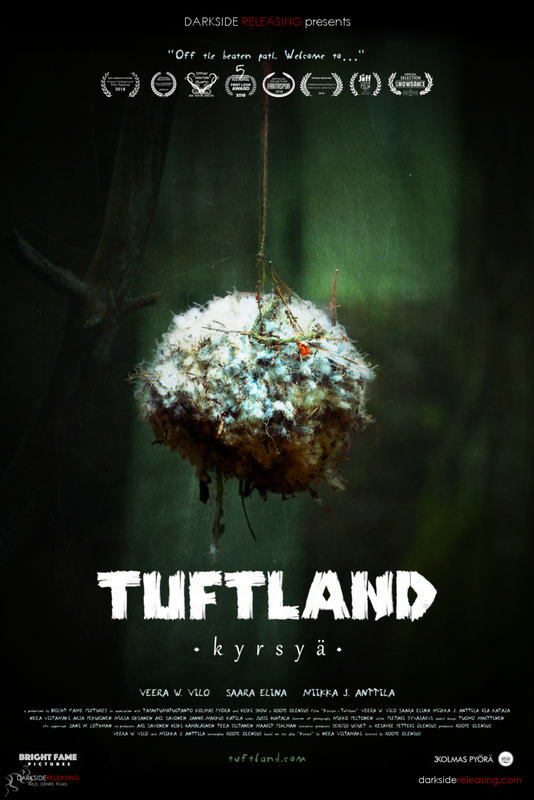 Kyrsyä – Tuftland is a thriller, mystery and hillbilly horror with Twin Peaks style black humour. It’s a Scandinavian take on films such as The Wicker Man and Rosemary’s Baby presented in the beautiful and endless landscapes of Finland. The film is a female driven piece with a metaphysical approach to mixing its genres, which discusses current topics such as women’s rights, human-nature relationship and young people’s unemployment. Kyrsyä – Tuftland is a by-product of the Finnish genre revolution that is driven by the country’s growing independent scene. The film stars upcoming Finnish actors like Veera W. Vilo (Bunny the Killer Thing, 2015) and awarded stars like Ria Kataja (Finnish actor of the year, 2016). Kyrsyä – Tuftland is based on Neea Viitamäki’s controversial stage play.